Niantic has released Ingress Prime today, overhauling the original location-based game that paved the way for Pokémon GO. To celebrate the occasion, the developer has handed out three free Pokémon GO t-shirt items for your in-game avatar, as well as introducing the chance to encounter Shiny Ponyta and Shiny Cubone – whose bright blue flames and green body match the factions in Ingress Prime. “The world of Ingress, the Niantic game which influenced the experience that Trainers enjoy in Pokémon GO, is changing right before our eyes! 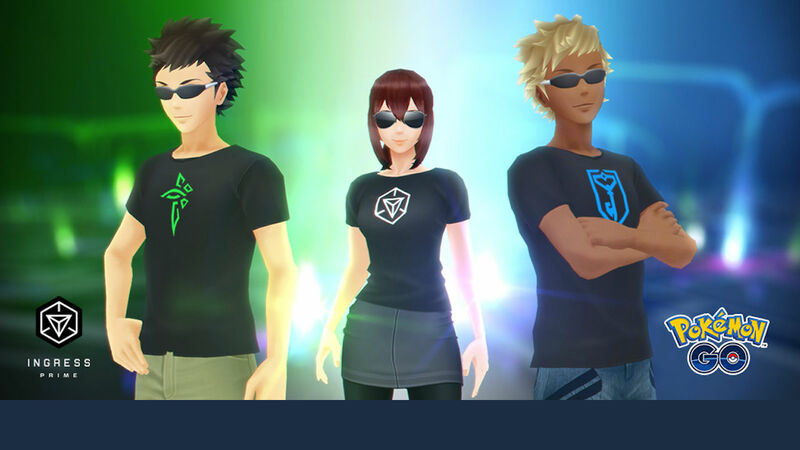 In celebration of Ingress Prime, a new mobile game out now, Trainers can sport special T-shirt avatar items, available at no cost in the Style Shop,” Niantic explains. “The three T-shirts have a futuristic style, and each has its own unique design—one includes the Ingress Prime logo, while the other two have the colours and designs representing the game’s two factions. “Plus, as part of the celebration, Trainers will have an opportunity to encounter two Shiny Pokémon that have colours matching Ingress Prime’s factions—Shiny Ponyta, which has bright blue flames, and Shiny Cubone, which has a green body!